Their unique body was developed just for digging into badger holes, and their sharp bark for alerting their owners to their locations underground. 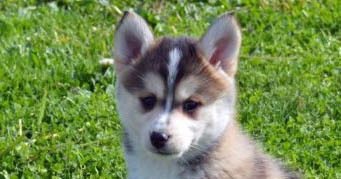 The long-haired and wire-haired breed varieties came about to assist them in cold weather and thorn patches, respectively. Eventually, the dogs began to be seen as desirable companion dogs as well as good hunting dogs and were bred for both purposes. They are, in fact, the smallest of the hound dog variety. The miniature dachshund was bred exclusively as a companion dog. Due to their German heritage, these dogs had to deal with some level of prejudice during the World Wars. Some Americans took to calling them Liberty Dogs, as they loved the dogs but not their land of origin. These days, Dachshunds are loved around the world. 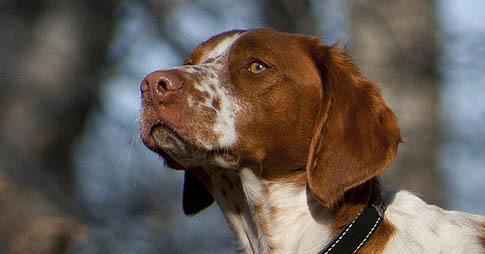 While they are usually companion dogs, they are still used for hunting in some parts of Europe. 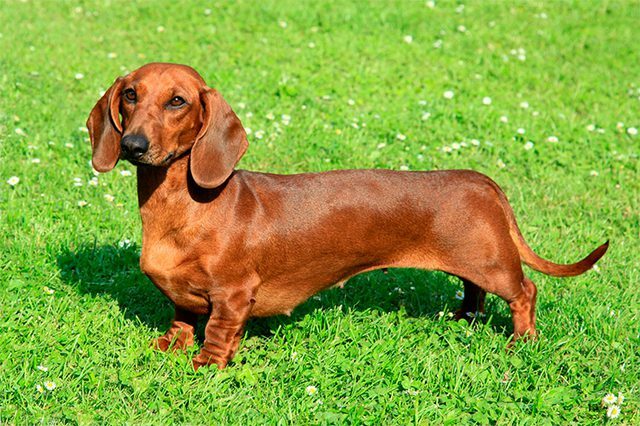 Dachshunds are people-oriented and want to spend as much time as possible with their owners. They’ll easily develop separation anxiety and respond by barking when they’re left alone for too long. Despite their small size, they need quite a bit of exercise from walks. But they shouldn’t be allowed to run on stairs or leap up or down from furniture; it may injure their uniquely long backs. Dachshunds may get along better with animals than children, and children should be supervised when they’re playing with these dogs. 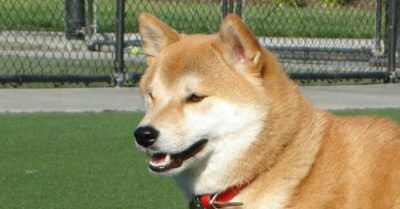 These dogs can be calm, but they require a lot of training to be suitable house pets. They can be mischievous, stubborn or even aggressive, due to their history as badger-killing dogs. It’s also not uncommon for them to be overly protective of their belongings, which can intensify aggressive behaviors and tendencies. 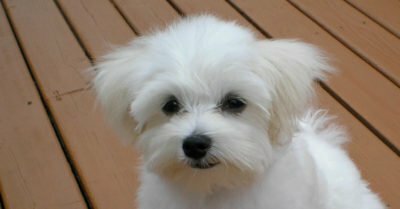 Early socialization and puppy training are very important for this breed and should be handled while they are young — preferably before they’re 14 weeks old. Dachshunds have a tendency to assert their dominance, but they are also very sensitive and need to be treated with kindness and positive reinforcement. They respond well to praise and treats; they love to be affectionate toward their owners and enjoy receiving affection as well.